Great deals await on popular brands, fast delivery and easy returns with customers being able to shop from over 170 million products across various categories on Amazon.in. Customers can get upto Rs 3,000 off on Amazon Devices including Amazon Echo, FireTV Stick and Kindle eReaders during the sale. BENGALURU: The ‘Amazon Great Indian Sale’ boasts of offering big savings from January 20-23 for shopaholics. Prime members will get 12 hours exclusive early access starting 12 noon on January 19. “The Amazon Great Indian Sale will have great deals across a wide range of products including smartphones, consumer electronics, fashion, home & kitchen, large appliances, daily essentials and more. 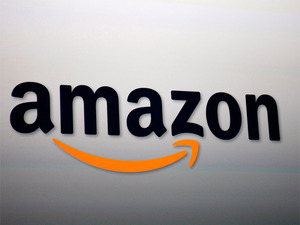 With no-cost EMI on debit and credit cards and Bajaj Finserv cards, fast delivery and installation of appliances, exchange of mobile phones and large appliances, instant bank discounts and lots more, customers can look forward to an exciting sale on Amazon.in,” Manish Tiwary, Vice President - Category Management, Amazon India,” said in a statement. Customers can save more by getting extra 10% instant discount with HDFC Bank debit and credit cards and EMI. They can also avail of more than 10 crore products with no-cost EMI option using Bajaj Finserv EMI card and select debit and credit cards. They can get upto Rs 3,000 off on Amazon Devices including Amazon Echo, FireTV Stick and Kindle eReaders. Special offers can also be expected on a range of unique, authentic handloom and handicraft products from across the country such as Ikat, Banarasi, Tant sarees and leather shoes from Agra during the sale. A range of products such as office stationery and grocery items showcased by women entrepreneurs under Amazon Saheli can be explored as well.